Our garage takes my breath away, and not in a good way. Being the obsessively organized person that I am, and critter-averse, I can barely walk through the garage, let alone hang out in there. It’s Jim’s space. I’ve learned to let it go. 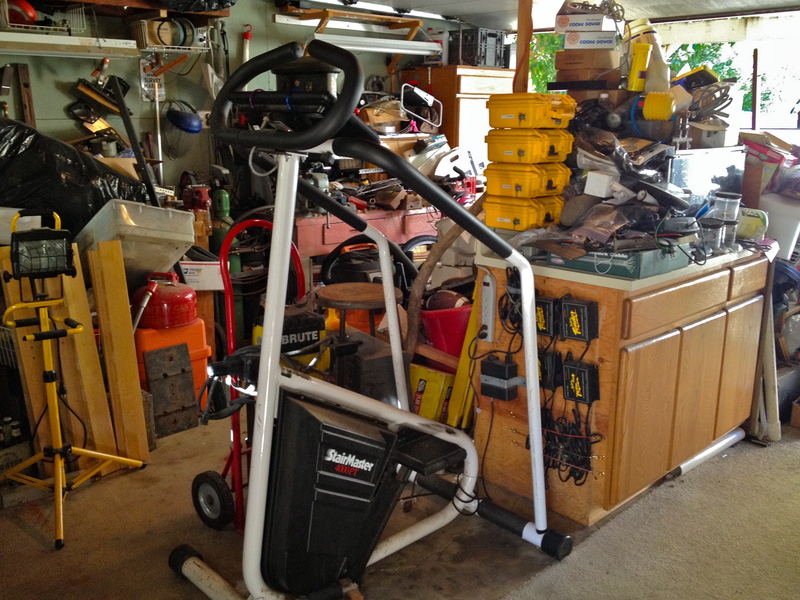 But, as I wrote a couple days ago, I’ve discovered, in the last six months or so, that time spent on Jim’s Stairmaster, which is in the garage, is well worth the clutter shock. For Jim, the Stairmaster has been a daily ritual for maybe 25-30 years, but, until recently, I’d never even set foot on it. 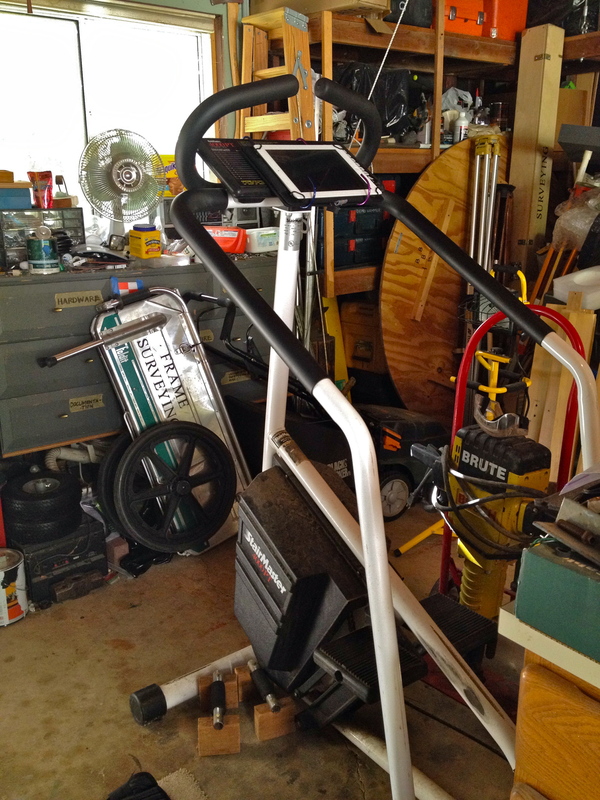 Part of it was I stubbornly insisted on alternative forms of exercise (better forms…I’m snobby that way). And part of it was the garage. And it’s ten feet from the kitchen.. which is to say, I don’t have to drive to south Davis.